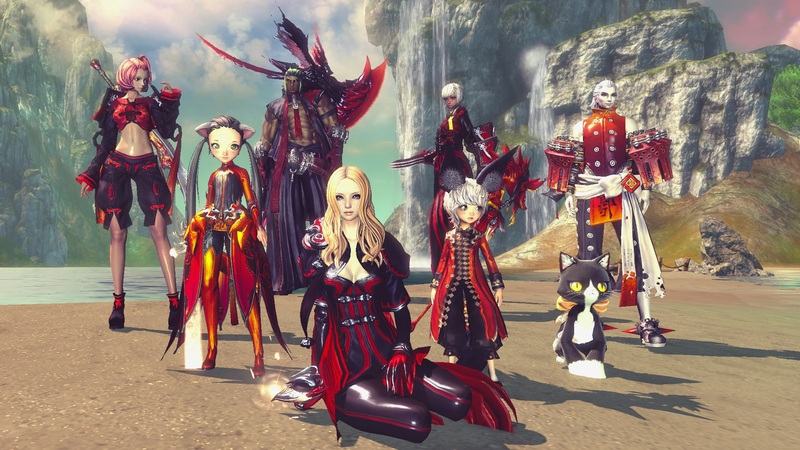 The western launch of Blade & Soul is finally coming on January 19th, however, some worrying reports of censorship regarding the game’s western release have been brought to our attention. The news comes from the game’s official forums (via KotakuinAction), in which a user quotes a member of the game’s localization team. This staffer was in charge of rewriting an entire questline as well as NPC interactions in what they’re dubbing the “A Scholarly Path” side-quest chain. The original quest featured a “misogynistic philanderer” who seeks to rekindle his libido after being thrown in prison and is subsequently rendered sexually impotent (all of which is a result of him cheating on his wife). The quests he offers involves obtaining things which will cure him of this ailment, including stealing women’s clothes, and peeping on bathing women. He asks you to do this because he believes these women are nymphs, and according to a local legend, they are forced to marry him if he has their clothes. It turns out these women are Lycandi, and observe a similar custom – so he ends up being forced to marry one of them and ends up getting her knocked up. The staffer makes a point in saying the guy is vocal about not loving her, that he thinks she’s unattractive (because she has muscles), and blames the player for ruining his life. It’s worth mentioning that other instances of questionable changes or censoring to the game have been discovered, with noticeable story and NPC dialogue being altered to make the player into a strict hero archetype, with no moral ambiguity or failures. Villains have also been sterilized to be stereotypical cartoon-level evil. Any other quests the team finds personally offensive or not “welcoming” enough are reportedly being altered or removed. I’d also talk about the report of memes being added into the game to make serious events into comical ones, but I generally take a “no means no” approach to unwanted memes. The best part? The localization team is also deleting posts on their forums which are criticizing their choices, instead of forwarding said posts to actual developers working on the team. It’s worrying when NCSOFT previously said they would never censor the western version of the game, only to now hear them say “Oh, we only meant costumes, we’ll never censor costumes.” They slightly lied in this case as well, with the removal of lingerie (as clothing), instead putting them behind a paywall. We’ve reached out to the folks at NCSOFT regarding this entire thing – we’ll keep you guys posted. (Editor’s Note: It’s possible this only affects the North American localization, and not the European one. We’re still waiting on clarification on this).